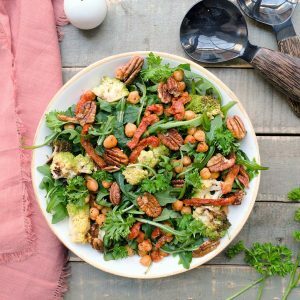 I find myself often wondering and planning my meals for the next day, week and even sometimes, the following week. Even though I am usually only cooking for myself, I like to know what I am going to have for lunch and dinner ahead of time. Part of the reason is to keep my diet on track and the other part is just my annoying need to plan everything. While cleaning out the fridge the other day and asking myself the usual question of, “what’s for dinner tomorrow?”, I found a head of cauliflower that I never came around to using. 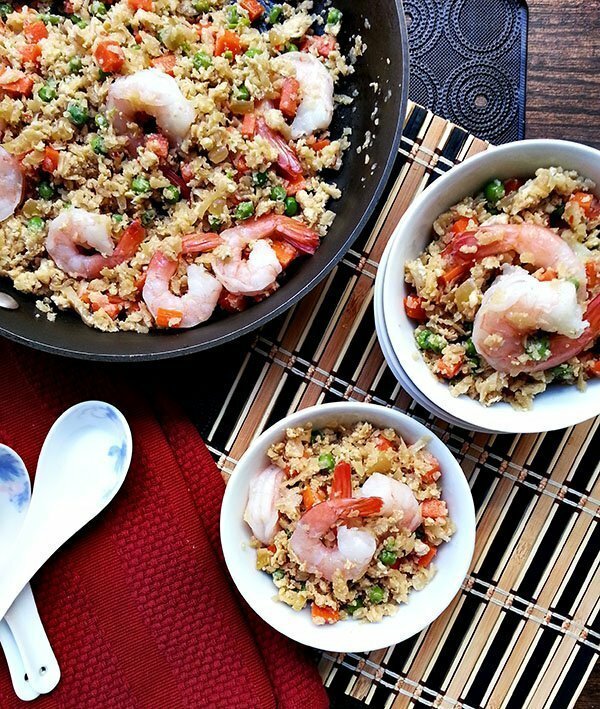 While racking my brain for cauliflower dishes, I finally decided on making a healthy version of fried rice, without the rice! 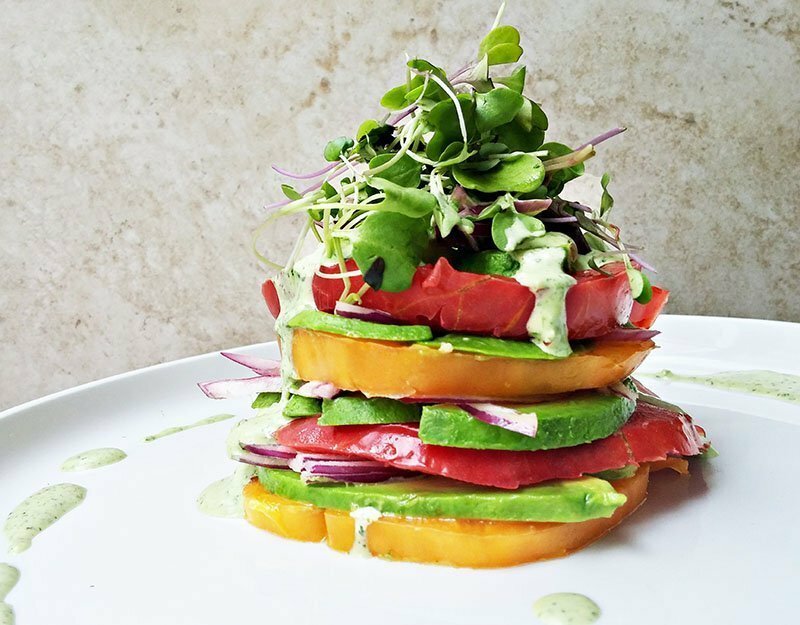 This dish also follows the theme for my blog this week, reinventing dishes to make healthier ones. Now I can enjoy my fried rice and still have a piece of chocolate after! Cut cauliflower into quarters. Grate cauliflower using grater or food processor until coarse. Heat wok or large saute pan over medium-high heat. Add 1 tbsp oil. When the oil is hot, add onion and garlic. Cook until onion is softened, about 3 minutes, stirring frequently. Add the shrimp and cook for 1 minute. Add carrots and peas and cook for 1 minute. 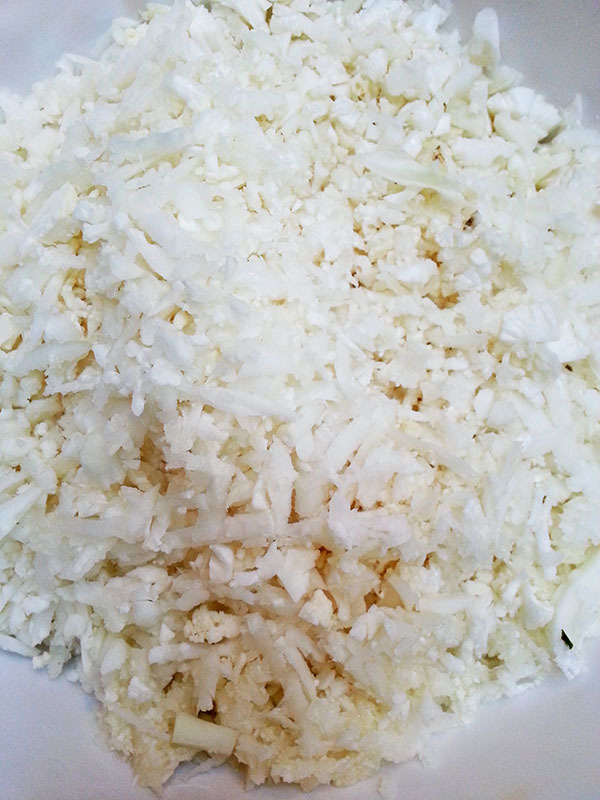 Add the grated cauliflower and season with tamari and coconut aminos, mixing until the ingredients are incorporated. Cook until the cauliflower has softened, about 3 minutes. Make a well in the center of the wok or pan. Pour the beaten eggs in the center and cook as if you would scramble eggs, stirring frequently. When the eggs are halfway cooked, stir together with the remaining ingredients. Season with salt and pepper. Serve. To make the cauliflower not only resemble rice in appearance, but also in taste, you want to grind it to a coarse texture. The best method of achieving this texture is by using a grater. It’s quick and gets the job done. 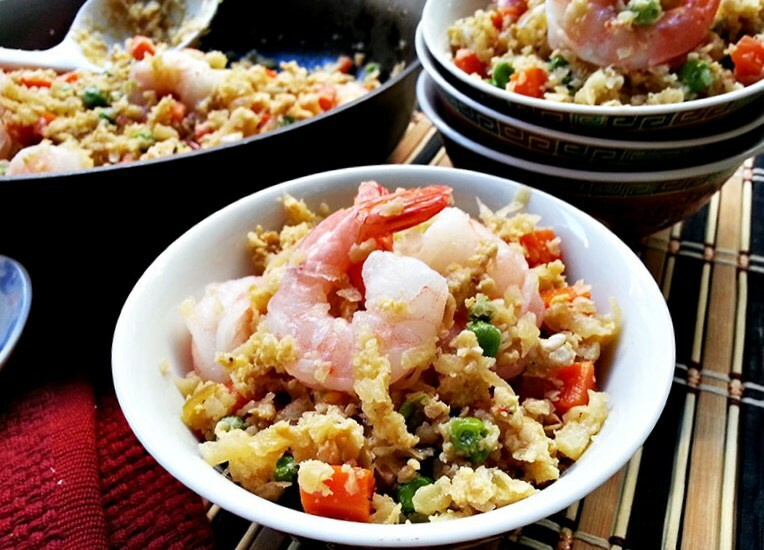 Now the method for cooking the cauliflower fried rice is similar as to how you would regular fried rice. Cook all of the other ingredients, followed by the cauliflower and then the egg. When cooking the egg, crack and whisk in the center of the hot pan. As the eggs begin to scramble, start to mix it with the other ingredients. 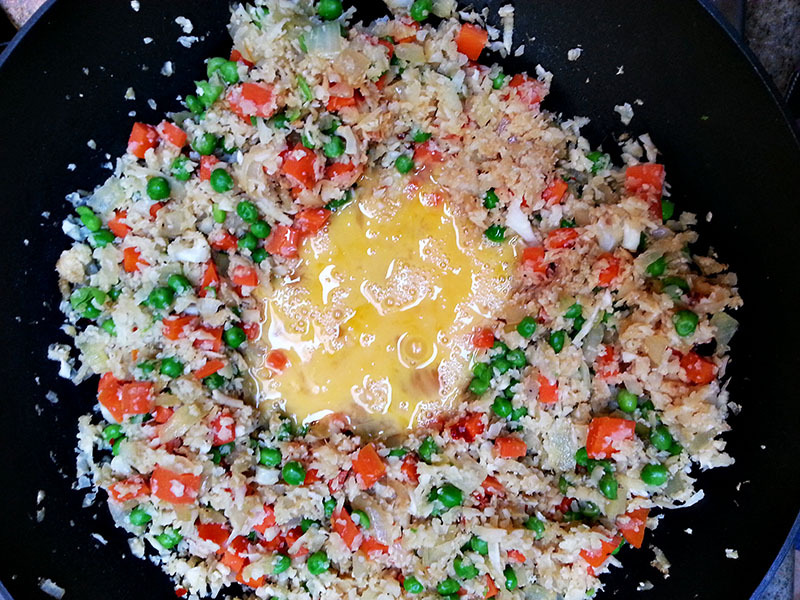 This is an efficient way to incorporate the eggs with the fried rice without having large clumps of egg here and there. When I talked about this dish with someone who may be the biggest fan of fried rice, he stared back at me with a very hesitant look. However, after one bite, he admitted that it wasn’t bad! Okay, so he didn’t say it was exactly like fried rice but I wasn’t expecting that. The cauliflower may be softer than rice but the flavors are very similar. 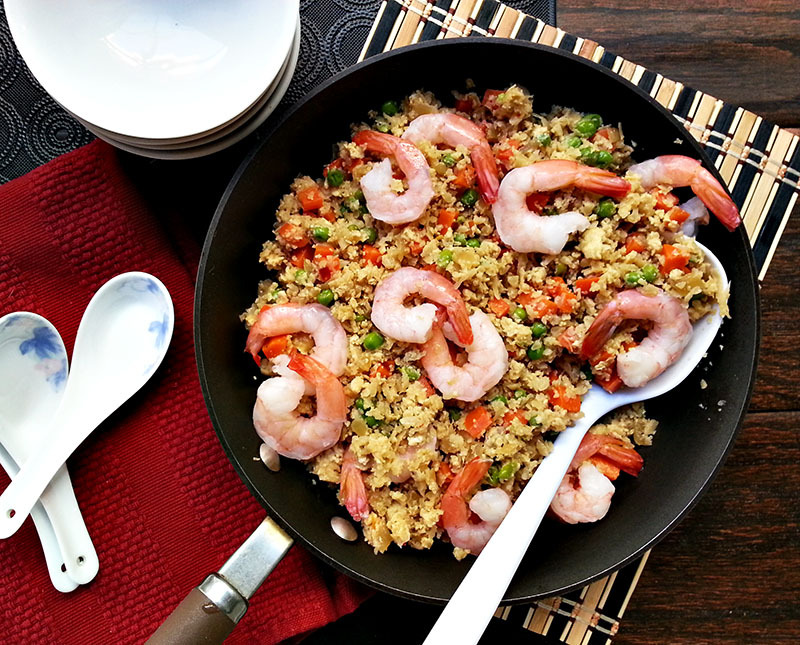 This dish can easily be substituted with whatever ingredients you have such as beef, pork, chicken, mushrooms, green beans, and even pineapple for a sweeter twist. 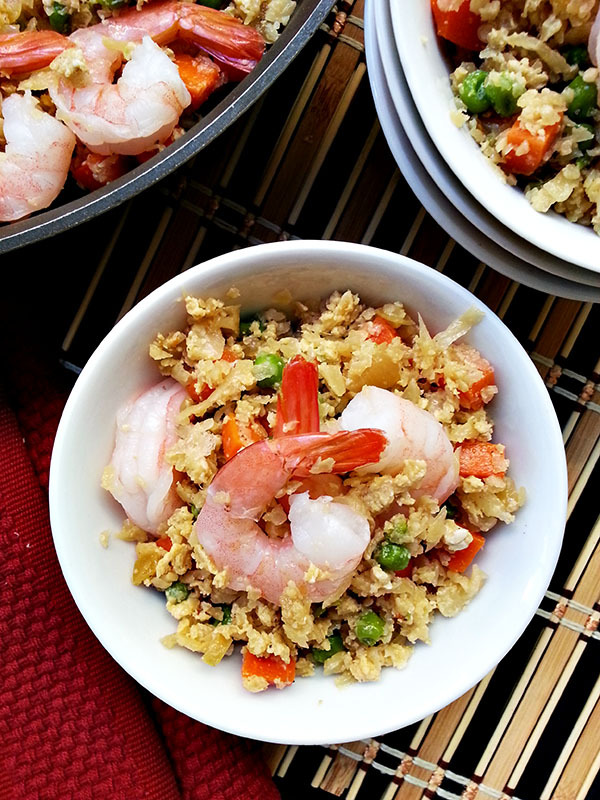 Healthy cauliflower fried rice here I come! What an imaginative use of Cauliflower. I can't wait to try this for my family. I bet the kids will eat it. Sharing this post! Thank you! A great way to feed vegetables to kids! I LOVE this dish! Fried rice means that I have to first have 'cooked' rice. This is perfect!! Yup saves you a step! 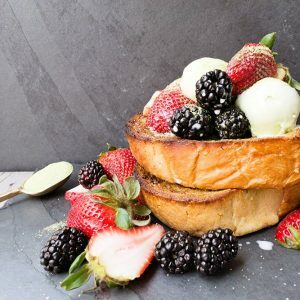 I'm a weight loss surgery patient and I'm wondering if this recipe can be scaled down simply by halving the ingredients. My husband wouldn't touch something like this (he's a burger-and-dogs guy) so it would be only myself eating it and I can only eat about a quarter cup at a time. As an alternative, would it freeze well? You can definitely scale down the recipe. I don't think this would freeze very well; I feel like the flavors would diminish and the quality of the cauliflower would not uphold in the freezer.